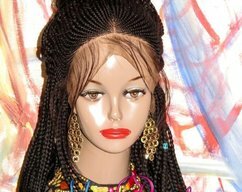 Â 100% hand made Gorgeous introducing lace front wig braided, whole head braided like your own, as natural as it could get, extremely light weight, any style you want The density of the hair of this wig is 190%Â this fully braided LACE WIG is just stunning, gorgeous, and hand made. itÂ looks so natural in the flesh. In the market, we simply deliver the best product, and the best quality, we guarantee you that , you can not find in the world a better product than ours for theÂ money that you invest in. It's finally here !!! 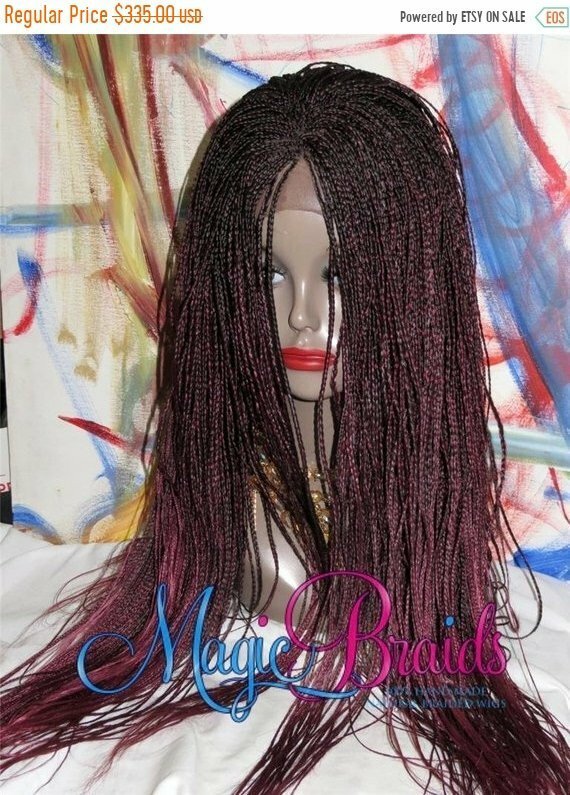 a braided clueless hand braided lace front wig!! She has adjustable straps, and 3 combs for secure fitting. 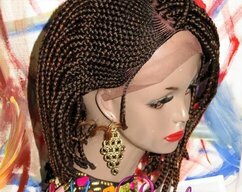 The hair we used to do the braids is Synthetic heat resistant hair. Never take out braids again! No more new grown ever again! No more hours of setting! 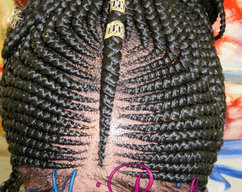 Your braids will be fresh all the time. No more pains or hair loss! 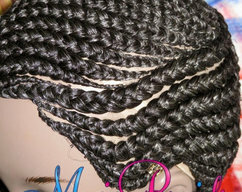 Â This is a beautiful Â braided wig hand-braided in the " microÂ braids". It'sÂ 18" to 24" inches long , color is # red ombreÂ Â style microÂ braids lace wigÂ YassineÂ .Â its a lace Â wig is absolutely Â gorgeous, so beautiful. Thank you again for your time and interest in my products, feel free to contact me for all your questions. At MAGIC BRAIDS domestic shipping is alwaysÂ FREE! We will ship out the item(s) within 1 OR 2 business after the payment is cleared and you will receive a tracking number via email. All items are shipped via USPS Priority Mail within the US. You should receive the item within 5-7 business days. Your privacy is extremely important to us. All items are shipped discreetly in USPS boxes with no mention of the contents on the box or label. Please make sure the Ship-To address you input during checkout is correct. This allows customers to be 100% confident when making a purchase decision, and know that we are not selling used or returned hair. Please review all product details as well as viewing the pictures before making your purchase. If you have any questions, please feel free to message or e-mail us.